Dr. David M. Brady has 27-years of experience as an integrative medicine practitioner and over 23 years in health sciences academia. He is a licensed naturopathic medical physician in Connecticut and Vermont, is board certified in functional medicine and clinical nutrition, a fellow of the American College of Nutrition, and completed his initial clinical training as a doctor of chiropractic. He currently serves as the Chief Medical Officer for Diagnostic Solutions Labs, LLC and Designs for Health, Inc. and is also the Director of the Human Nutrition Institute and Associate Professor of Clinical Sciences at the University of Bridgeport in Connecticut. He maintains a private practice, Whole Body Medicine, in Fairfield, CT.He is an internationally sought-after presenter on nutritional, functional and integrative medicine. He has appeared on the speaking panel of some of the largest and most prestigious conferences in the field including; IFM, ACAM, A4M, IHS, AANP, and many more. 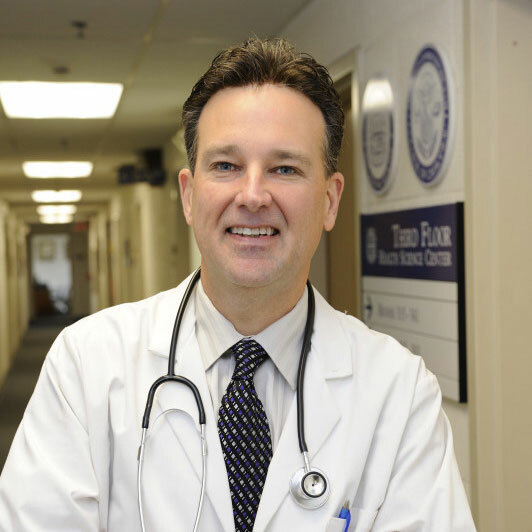 Dr. Brady has published a multitude of peer-reviewed scientific papers and textbooks related to chronic pain, autoimmunity and functional gastroenterology and is a featured contributing author in the medical textbooks; Advancing Medicine with Food and Nutrients -2ndEd. (edited by Kohlstadt I-Johns Hopkins Univ. ), Integrative Gastroenterology (edited by Mullin G-Johns Hopkins Hospital) and Laboratory Evaluations for Integrative and Functional Medicine -2ndEd. (edited by Bralley & Lord). His latest popular book, The Fibro-Fix, was published by Rodale and released July of 2016. You can learn more at DrDavidBrady.com and FibroFix.com.